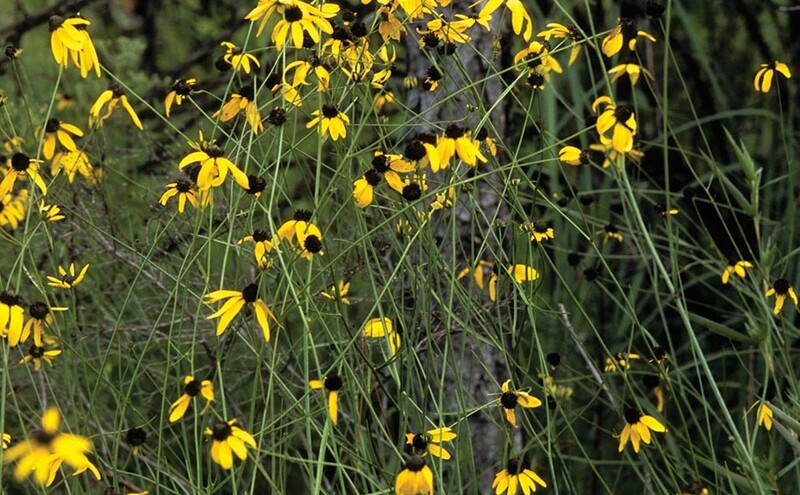 Several of our roadside Rudbeckias are immediately recognizable from their resemblance to garden plants of the same name. Most have a central, cone-like head surrounded by numerous yellow rays. 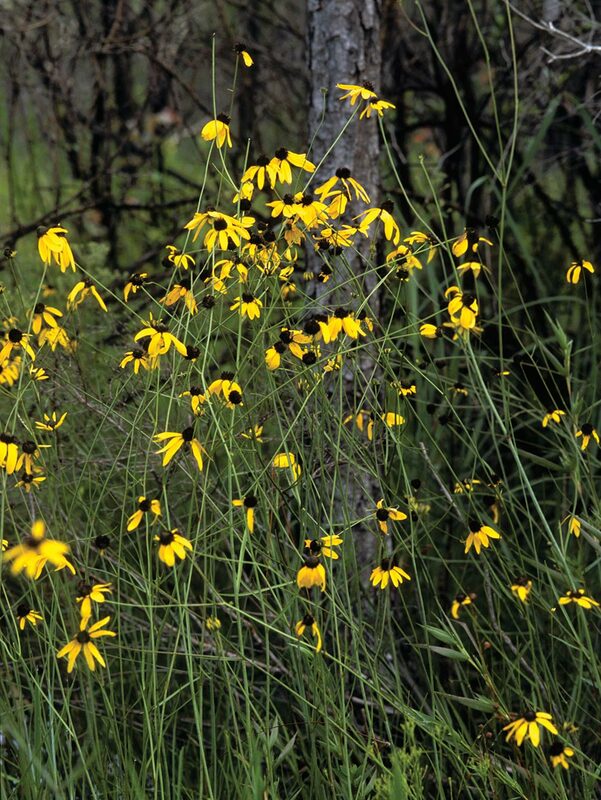 Mohr’s Coneflower is one of our showiest examples. 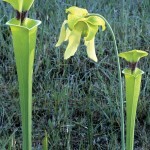 More information at Atlas of Florida Vascular Plants. Rosegentians are summer delights. 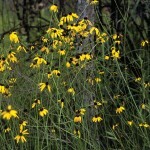 About a dozen species occur in the panhandle, some with white flowers, others with pink flowers. Roadside species usually have 5 or 10 petals. 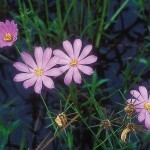 Pictured here is Bartram’s Rosegentian, a bright pink, 10-petaled form. 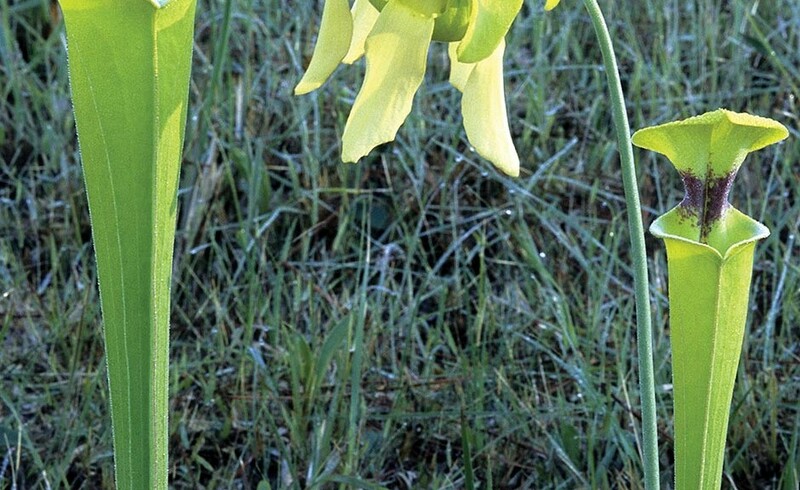 Northwest Florida is well known for its assortment of insectivorous Pitcher Plants, at least 4 of which can be seen along our recommended roadsides. 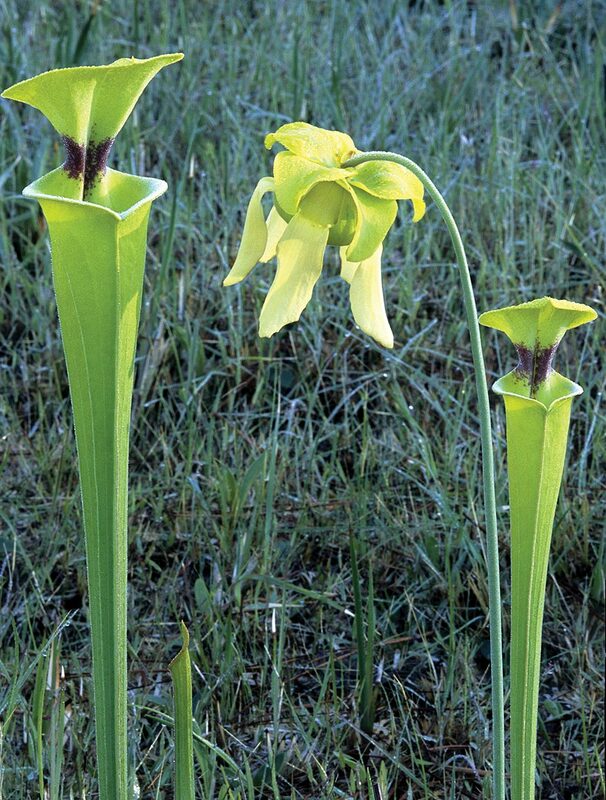 The conspicuous trumpet-like leaves of the Yellow Pitcher Plant, shown here, can be 2′ tall. 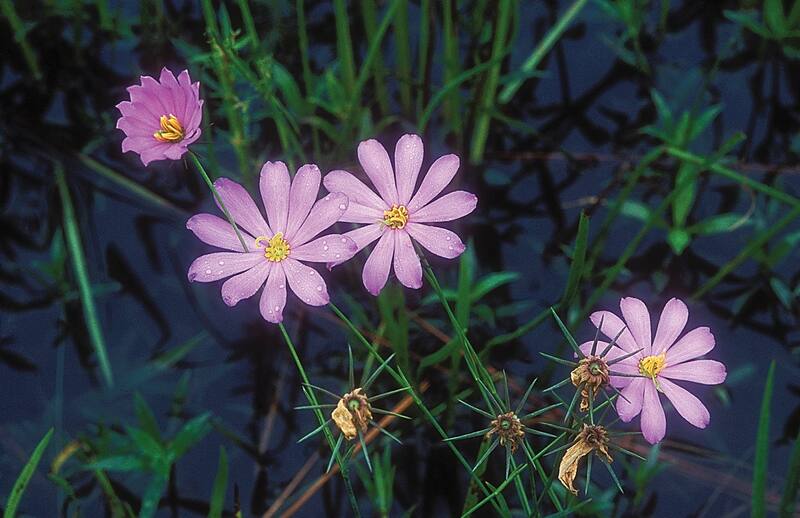 All can be seen along wet to moist roadsides, especially along SR 65 and the Apalachee Savannas Scenic Byway. 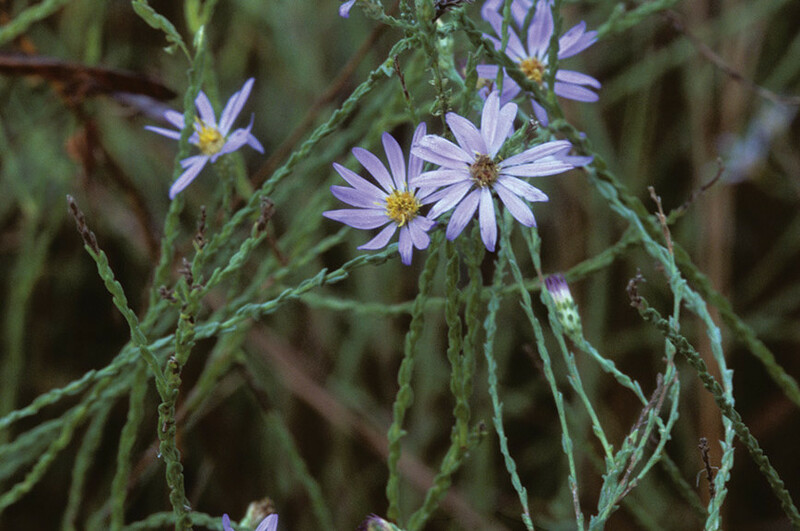 Several blue-flowered Asters are found along panhandle roadsides. 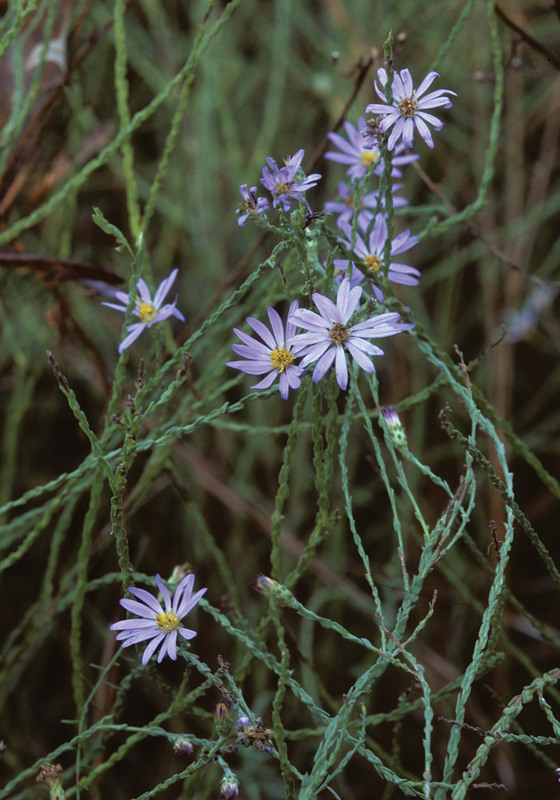 Scaleleaf Aster, shown here, is a low-growing species with tiny, awl-shaped leaves that point upward and tightly hug the stem. 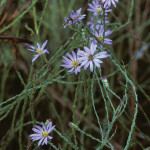 Chapman’s Aster has similar flowers but grows much taller, with a slender arching stem that is nearly devoid of leaves. 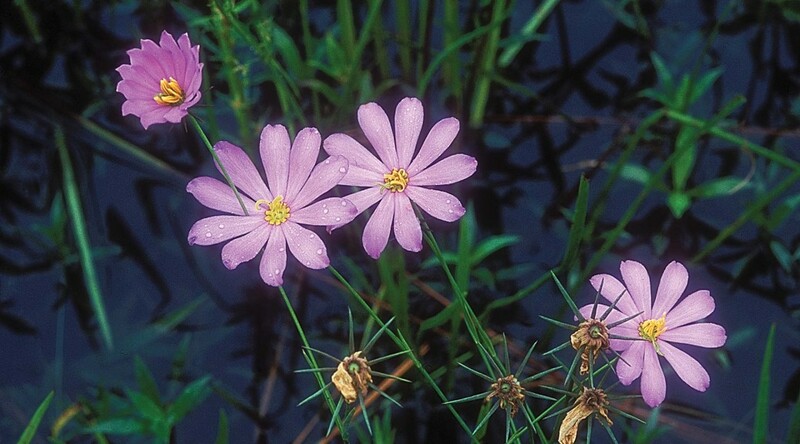 Funds from the Florida State Wildflower license plate support native Florida wildflower research, education and planting. Get the plate!